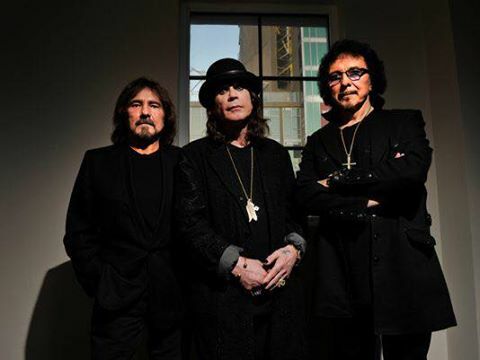 Black Sabbath launched the final series of nine farewell shows with their last concert in Germany on January 17, and video from the event has surfaced online. The reunited trio of Ozzy Osbourne. Tony Iommi and Geezer Butler will now head to Ireland for a January 20 gig, followed by UK appearances in Manchester, Glasgow, Leeds and London before wrapping up with two shows at the Genting Arena in their hometown of Birmingham. Black Sabbath were recently named the No. 4 Rock News Artist Of The Year in the 2016 hennemusic Rock News Awards, where they also delivered the No. 7 Rock News Story of The Year. This week, Ozzy Osbourne announced his first solo show following the end of Sabbath’s farewell trek. Osbourne will close out the final night of this year’s Chicago Open Air festival on July 16, alongside fellow headliners KISS and Korn. Tickets for the three-day event at Toyota Park in Bridgeview, IL will go on sale January 20 at noon CST.